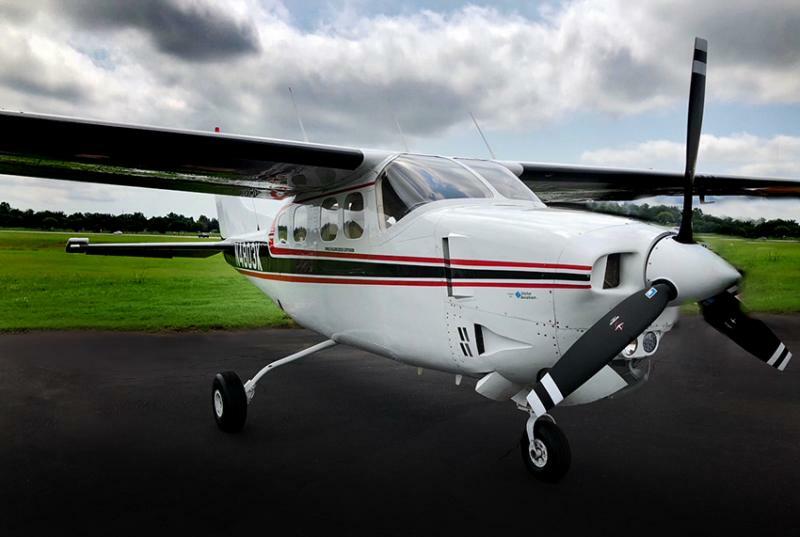 Flint Long Range Fuel Tip Tanks, Precise Flight Speed Brakes, Intercooler, GEM-602 Graphic Engine Analyzer, King Hard IFR Stack, Cessna 400B Autopilot, Color Radar, Very Nice Paint & Interior, & Excellent Maintenance! Turn the Key & Fly Away!!! Useful Load = 1,300 lbs. No Corrosion, Chipping, & Always Hangared. Garrett #906 ‘Caressa’ (Light Beige) Leather upholstery. A.I.C. ‘Sandpiper’ carpeting w/ Seatbelts rewebbed by Belt Makers, Inc. Interior Window Trim & Headliner in ‘Parchment’ and ‘Birch White’.